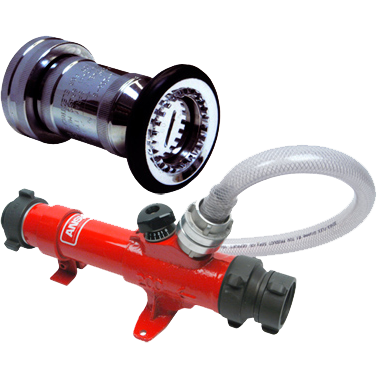 Handline Nozzles can be used with a variety of foam concentrates for a variety of applications. 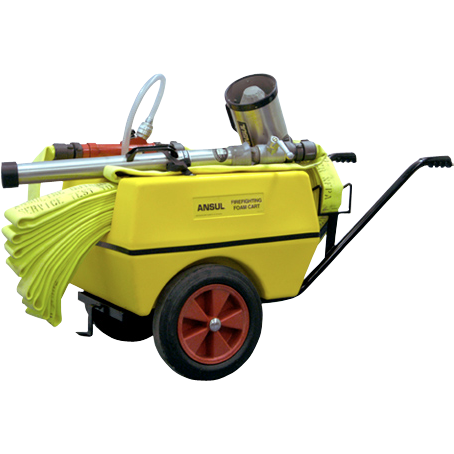 The nozzles are constructed of corrosion resistant materials, and are lightweight for ease of handling. Eductors create a foam solution by adding a percentage of foam concentrate into the pressurized water stream for the handline nozzles. Depending on the type of hazard and its configuration, Portable High-Expansion Foam Generators may be used for total flooding applications involving three-dimensional hazards. 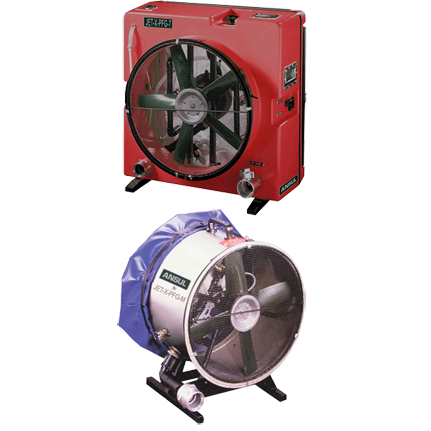 The generators may also be used for local application on spill fires or for vapor suppression. 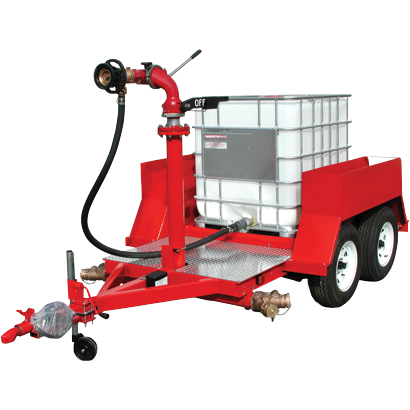 The Foam Systems Mobilcart is designed to provide mobile firefighting foam capability for various hazardous areas where flammable liquids are present. Common applications include tank farms and refineries, loading areas, chemical processing plants, diked areas, warehouse facilities, paint storage areas, and other manufacturing areas where flammable liquids are present.